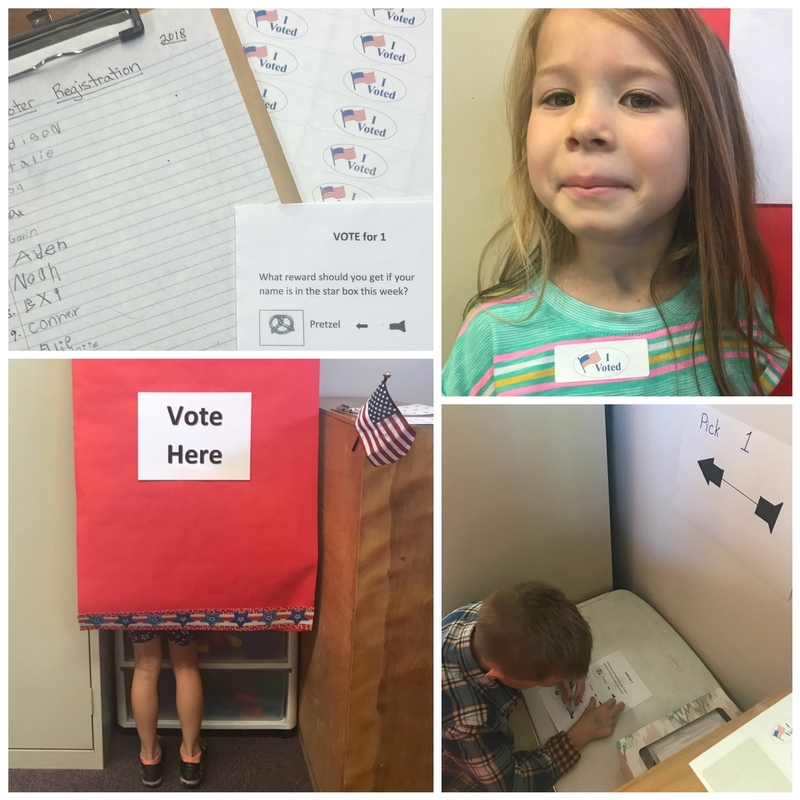 Our kindergarten class experienced democracy first-hand today and their voices were heard loud and clear. The people choose Skittles! 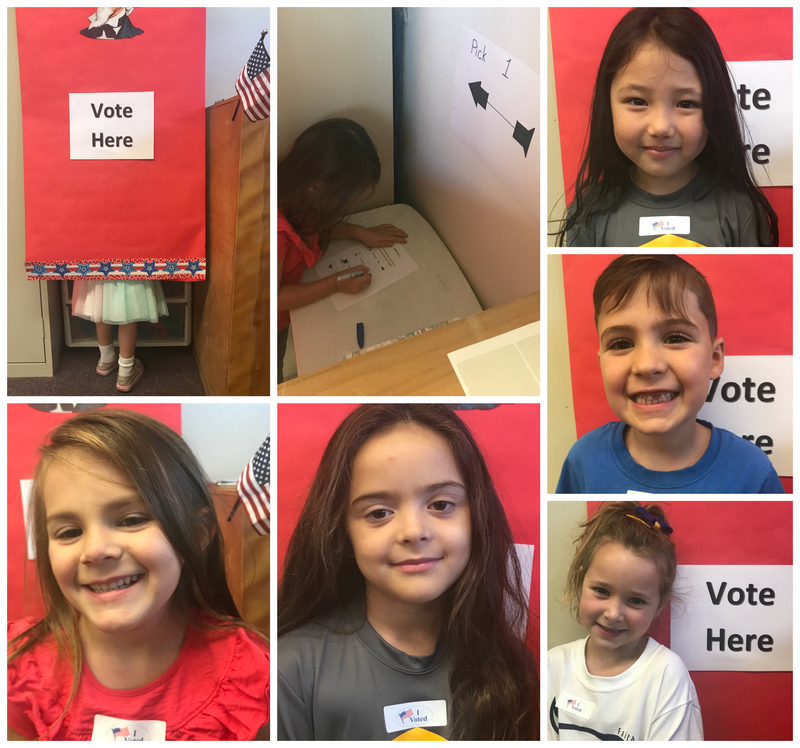 As the students arrived on election day, they were greeted by their teacher, Mrs. Morrison, and were presented with the opportunity to register to vote. They observed election signs at the front of the room and a sample ballot was posted on the board. Up until this point, the kindergarten dictator (AKA teacher) has always selected a scratch and sniff sticker as the reward for a student when his or her name is placed in the star box. Today, the students were allowed to vote on the reward. Should a sticker, pretzel, stamp, or Skittle be given as a reward? Four different students came forward to campaign for the reward they thought should be given. Later in the day, the polls were open. All registered voters received a ballot and entered the polling booth one at a time to cast their important vote. Upon exit, they received a sticker saying, “I voted”! It was a tight race, but in the end, Skittles beat out the stickers by one vote. Some tears were shed, which is not unusual on an election day, and that led to another valuable lesson. We don’t always get to see the outcome we had hoped for, but we can all be thankful our voice was heard.